It should come as no surprise that Marvel movies, and pretty much anything related to the Marvel Cinematic Universe, will have a decent opening weekend at the box office. However, even for Marvel standards, the new Brie Larson/Samuel L Jackson/Reggie the Cat-starring Captain Marvel is having a rather prosperous weekend for itself. In America alone, the new film is on its way to making over $150 million in its first weekend, while experts are forecasting one of the largest worldwide openings of all time too. Captain Marvel is currently on course to rake in $455 million globally, giving it the sixth largest opening weekend ever at the box office. Along with its domestic intake so far, it is likely to become the second biggest worldwide opening for the MCU since Avengers: Infinity War. That’s not all, however. 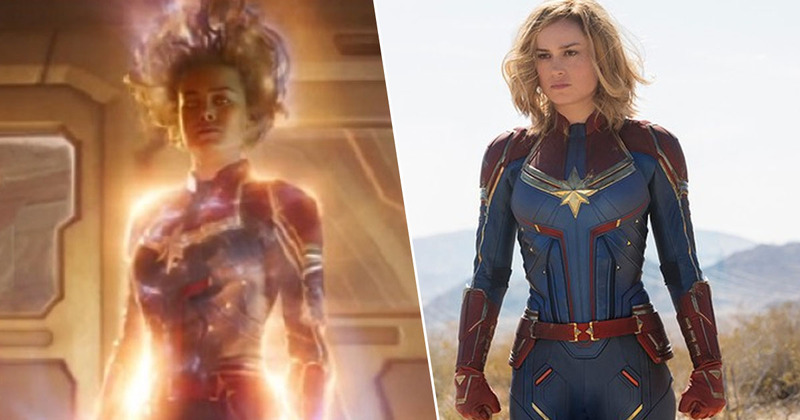 Captain Marvel has flown past DC’s Wonder Woman to have the best opening weekend for a female-fronted film, according to The Hollywood Reporter. Wonder Woman took in a whopping $103 million in North America alone on its opening weekend, but it seems Captain Carol Danvers has more of a pull to the big screen. Not just surpassing fellow superheroes though, the latest offering from Marvel is also set to eclipse Beauty and the Beast, which had a global first weekend of $357 million. Hungry for another fact? Open wide – Captain Marvel‘s first weekend in cinemas is also the third biggest March opening of all time, and the fourth biggest non-sequel launch. In addition, it just took the top spot for domestic opening weekend since Incredibles 2 in June last year. Marvel Studios once again proves that stories combining diverse perspectives and different experiences make great movies that play to everybody. People crave representation. Higher, further, faster, baby. Though it’s set to be one of the biggest female-fronted films ever, 55 to 58 per cent of viewers for the weekend were male, compared with Wonder Woman‘s 52 per cent during its opening weekend. Captain Marvel opened in cinemas on International Women’s Day, March 8, and to celebrate, Captain Marvel herself – Brie Larson – decided to put in a shift at an AMC cinema to welcome viewers, hand out tickets, sell some popcorn and even give a little speech to introduce the film. Not a bad weekend then.